Is it true that President Trump is going to put asbestos back in manufacturing product? Have the EPA rules changed allowing more asbestos in manufacturing? Are the photos of Trump’s picture on pallets of Asbestos from Russia real? Asbestos is a naturally occurring mineral that became a popular building material in the 20th century because of its insulating and fire-resistant properties along with its superb strength. Exposure to the material, however, can cause lung cancer and mesothelioma, a cancer of the tissue that lines the chest cavity and many vital organs, among other health conditions. These health concerns have led more than 60 countries to ban all types of asbestos. Contrary to popular belief, however, the United States is not one of them. Beginning in the late 1970s, the Environmental Protection Agency attempted a near-complete ban. But in 1991, a federal appeals court overturned several aspects of the regulation. Remaining in place were prohibitions on using asbestos in five product categories, as well as a rule that barred companies from using asbestos in any new ways after 1989. These rules eliminated several popular uses of asbestos, including in certain insulation and fireproofing papers. But it meant asbestos could still be legally used in any other previously existing items, such as automotive brakes or floor tiles. Over the last several decades, American companies have largely purged the material from their products. In 2002, the last American asbestos manufacturer shuttered its doors. Because asbestos mining no longer happens on U.S. soil, all asbestos is now imported. According to the U.S. Geological Survey, nearly all of the imports are used by the chlor-alkali industry, which fashions raw asbestos into special filters that are used to produce chlorine and sodium hydroxide. The proposed rule, which is known in EPA lingo as a Significant New Use Rule, or SNUR, has a somewhat confusing name because it does not apply to new uses of asbestos. Instead, the rule applies to pre-1989 uses of asbestos that are currently legal, but which no one happens to be using today. It states that if companies want to start reusing asbestos in certain ways, they will have to seek EPA approval first. The EPA identified 15 product categories of these older-but-previously-developed uses that would be subject to the review process, including adhesives, gaskets and high-grade electrical paper. The proposed SNUR would not change the earlier ban on using asbestos in novel ways, nor would it make legal any uses that were previously outlawed. The SNUR came about after modifications in 2016 to the Toxic Substances Control Act — the nation’s primary legislation regulating chemical safety. Under those updates, the EPA is mandated to regularly reevaluate chemicals. Asbestos was chosen as one of the first 10 chemicals to receive new scrutiny. Critics of the proposed rule, which include current and former EPA employees, as well as a variety of environmental groups, say that because of the way the rule is written, if a company wanted to put asbestos into a product that does not fall into one of the 15 categories the EPA specified, the company would be free to do so without undergoing a review. In August, the New York Times reported that many scientists and lawyers within the EPA objected to the way the proposed rule was handled. Internal agency emails suggest that the agency originally planned to apply the SNUR restrictions to all potential reuses of asbestos, not just the 15 categories, but that EPA officials changed their approach in April. Richard Denison, a lead senior scientist at the Environmental Defense Fund, a nonprofit advocacy organization, said in a phone interview that the EPA’s statement is accurate, even if his group would have preferred the more open-ended approach. Whether the proposed rule will lead to more products containing asbestos is not clear. Any throwback uses would have to be cleared by the EPA first, and companies would have to be interested in making them. The rule is also not yet finalized; the 60-day public comment period concluded on Aug. 10. As for those photos of President Donald Trump’s face on plastic-wrapped pallets of Russian asbestos, yes, they are real. Brazil used to be the main supplier of asbestos to the United States, but following that country’s asbestos ban in November 2017, Russia has filled the gap. Uralasbest has not commented directly on the proposed rule change, and it’s not clear if the company or any others will benefit if it is finalized. Update, April 19: The EPA announced on April 17 that it was close to finalizing its proposed asbestos rule. The final regulation remains mostly the same, but as the agency explains in an FAQ document, it decided to require companies to notify the EPA if they want to bring back any legal, non-current use of asbestos — not just products that fall in the previously specified 15 categories. World Health Organization. Asbestos: elimination of asbestos-related diseases. 15 Feb 2018, accessed 4 Sep 2018. MedlinePlus. Mesothelioma. 1 Mar 2018, accessed 4 Sep 2018.
International Ban Asbestos Secretariat. Current Asbestos Bans. 22 Jun 2018, accessed 4 Sep 2018. Corrosion Proof Fittings v. EPA. No. 89-4596. United States Court of Appeals, Fifth Circuit. 18 Oct 1991. EPA. Asbestos Ban and Phase-Out Federal Register Notices. 9 Aug 2018, accessed 4 Sep 2018. U.S. Geological Survey. “Mineral commodity summaries 2018.” U.S. Geological Survey, 2018, pp. 26-27. Chapter 8, Section 11. Chlor-Alkali. AP 42, Fifth Edition, Volume I. Jul 1993. EPA Asbestos; Significant New Use Rule, 83 Fed. Reg. 112 (Jun 11, 2018). EPA. Asbestos Rule Fact Sheet. Aug 2018, accessed 4 Sep 2018. EPA. The Frank R. Lautenberg Chemical Safety for the 21st Century Act. 23 Aug 2018, accessed 4 Sep 2018. EPA. Summary of the Toxic Substances Control Act. 28 Nov 2017, accessed 4 Sep 2018. EPA Designation of Ten Chemical Substances for Initial Risk Evaluations Under the Toxic Substances Control Act, 81 Fed. Reg. 243 (Dec 19, 2016). Friedman, Lisa. “E.P.A. Staff Objected to Agency’s New Rules on Asbestos Use, Internal Emails Show.” New York Times. 10 Aug 2018. EPA. Federal Register Notice on Proposed SNUR for Asbestos. 9 Aug 2018, accessed 4 Sep 2018. Denison, Richard. Lead Senior Scientist, Environmental Defense Fund. Interview with FactCheck.org. 31 Aug 2018. Steinzor, Rena. Edward M. Robertson Professor of Law, the University of Maryland School of Law. 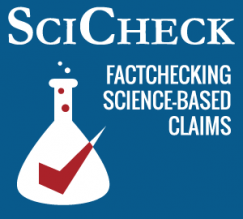 Interview with FactCheck.org. 4 Sep 2018. Regulations.gov. Asbestos; Significant New Use Rule. Accessed 4 Sep 2018. Rosenberg, Eli. “‘Approved by Donald Trump’: Asbestos sold by Russian company is branded with the president’s face.” Washington Post. 11 Jul 2018. ОАО “Ураласбест.” Facebook post. 25 June 2018. Accessed 4 Sep 2018. Kruse, Michael and Ruairí Arrieta-Jenna. “The 7 Oddest Things Donald Trump Thinks.” Politico Magazine. 16 Oct 2016. Erickson, Britt E. “Brazil asbestos ban impacts U.S. imports.” Chemical & Engineering News.14 Dec 2017. EPA. Problem Formulation of the Risk Evaluation for Asbestos. Office of Chemical Safety and Pollution Prevention. May 2018.